Packaged in U.S.A. 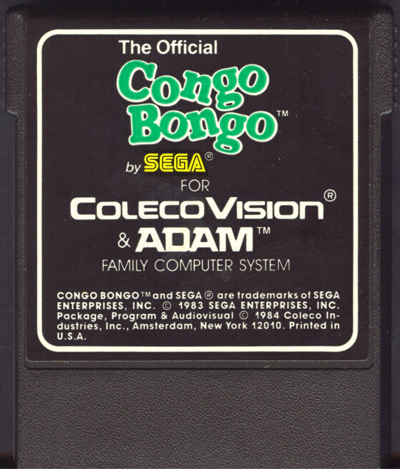 Program and Audiovisual ©1984 Coleco Industries, Inc. Amsterdam, New York 12010. 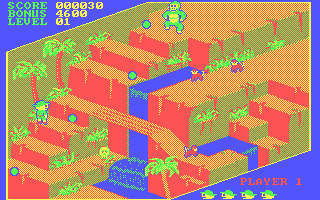 There’s trouble in the jungle! 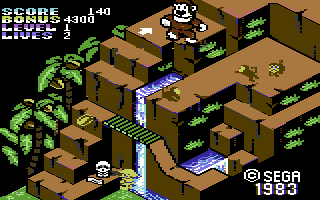 Safari Sam, a fearless explorer seems to have met his match in Bongo, a shrewd ape. 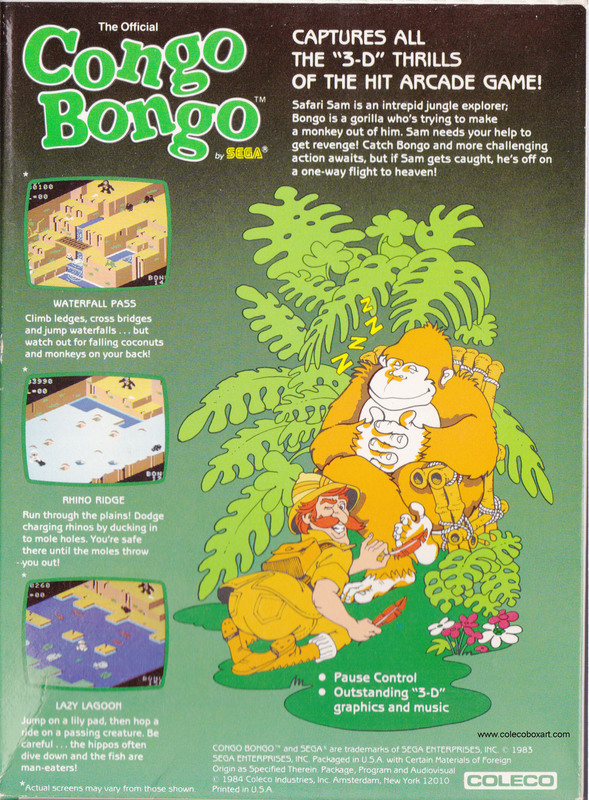 Bongo’s favourite pastime is trying to bonk Sam with coconuts, and our hero is mad! 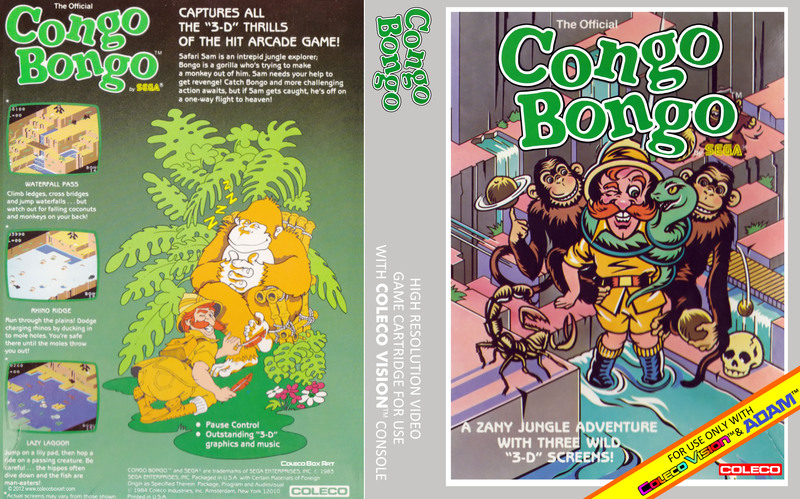 While Bongo is getting his kicks, Sam tries to get in his licks as he mounts an expedition for revenge! 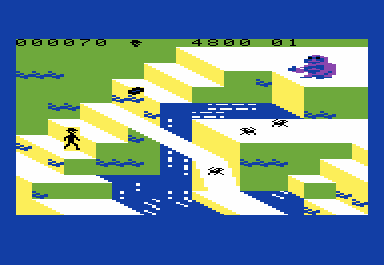 This game is a port of the Sega's arcade game released in 1983. 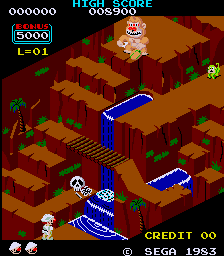 The game has come to be seen as Sega's answer to the highly successful Donkey Kong game that was released two years prior. 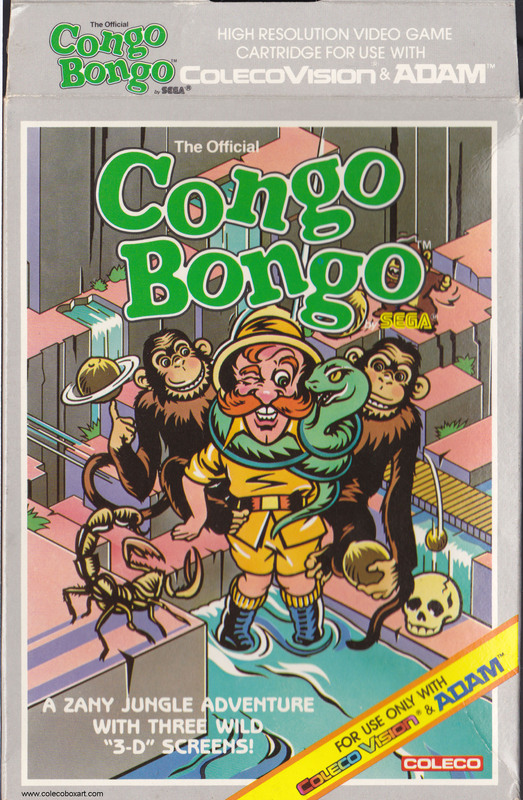 The game was named by Peter W. Gorrie who was the CFO of Sega at that time.